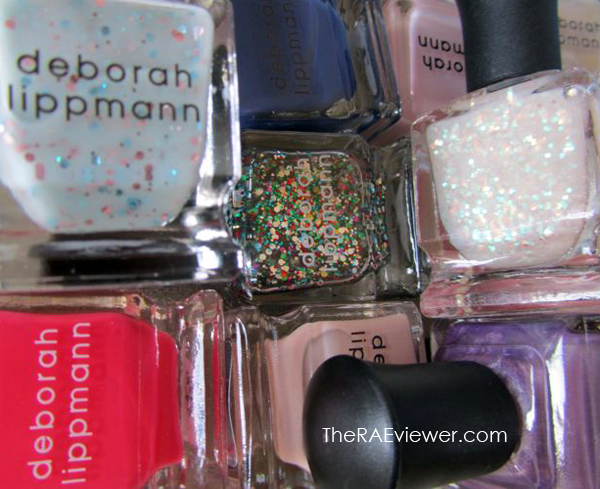 I posted a video review of Deborah Lippman nail polishes yesterday, which you can view here if you would like to hear the individual breakdown of my thoughts on each shade. Today, I have decided to post just the photos of the nail wheels [from Sally's Beauty Supply] that I used in the video review and allow the swatches to speak for themselves. Let's start with the bases, top coats, and neutral shades. We're supposed to save the best for last, right? Allow me to present the brights and glitters! And as I stated in the video, please excuse this mutilated wheel. I blame my clumsy fingers! Even though some DL polishes may be too sheer for your liking, they always wear so well on my nails! I rarely ever see chipping, just normal tip wear, and the formula spreads out so easily - like soft butter. I still believe Chanel is the queen of setting nail color trends but DL's quality is, thus far, unbeatable. Chanel nail polish are just over $25 with tax now but DL polishes barely top the $20 mark and instead of the coveted double Cs, you get a stunning sculpture of a glass bottle with an adorable yet practical top. The top of the brush is small but conforms well to the curve of the fingers, no slipping or sliding here. DL apparently tested hundreds of those little black caps on professional nail artists and I can see the care that went into the style and practicality of the packaging. 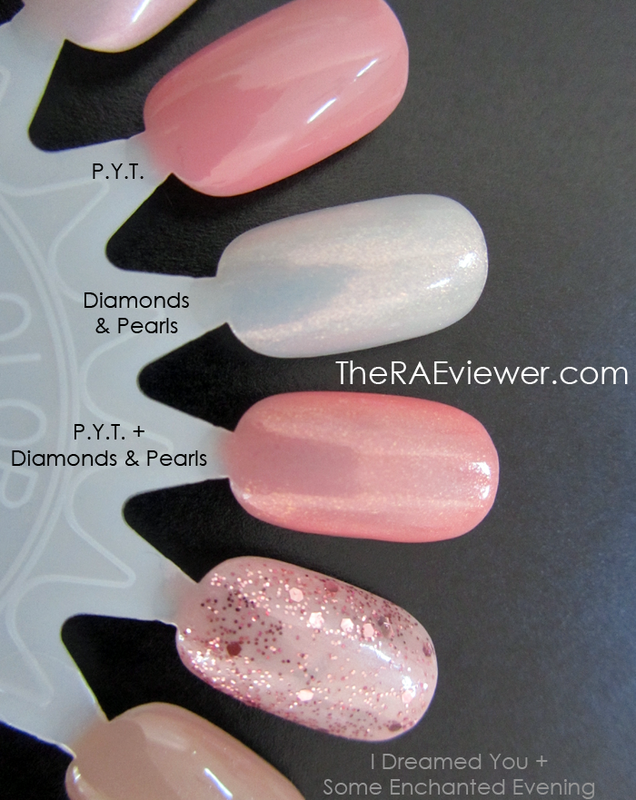 I know a lot of you are hesitant to spend so much on a single polish so I hope these nail wheels and my video review help you select one that you will find worthy of your hard-earned money! I hope to eventually review each of these polishes individually. I do have some photos of Stairway to Heaven that I would have included but I'll save that for a Nail of the Day post. If you have a hard time removing glitter nail polishes, don't use a base! It will only make the removal process harder. 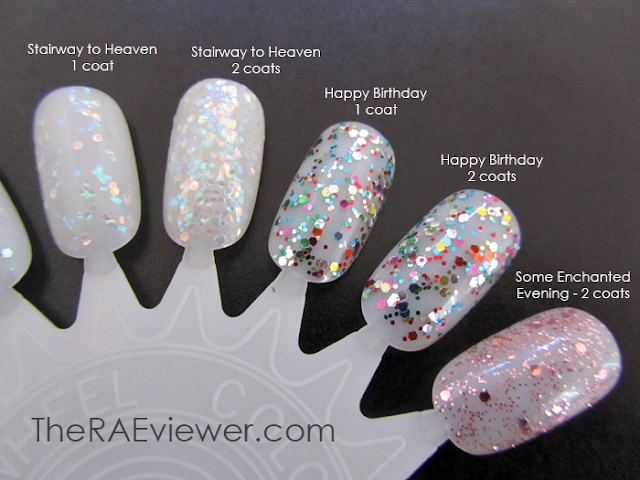 Instead, apply the glitter polish to the bare nail and remove with pure acetone on a cotton ball. Soak the ball and press it against the nail for ten seconds, then wipe and remove as you normally would. I purchase all my DL polishes from Nordstrom but you can find them at any premiere retailer as well as on Zappos.com! If you live in Canada, check out www.flatironexperts.com. I really love your picks! Wish I had more use for nail polishes. I'm a pianist and don't wear any color on my fingers, only on my toes, which for me, doesn't justify the prices of these beautiful polishes. But I real enjoyed reading your posts about them! Wow! beautiful! Love "Daytripper." and thanks so much for mentioning Zappos. I'll definitely purchase these from them. Nothing beats "no sales tax." I saw it on temptalia and then forgot about it.. =/ was it limited edition?